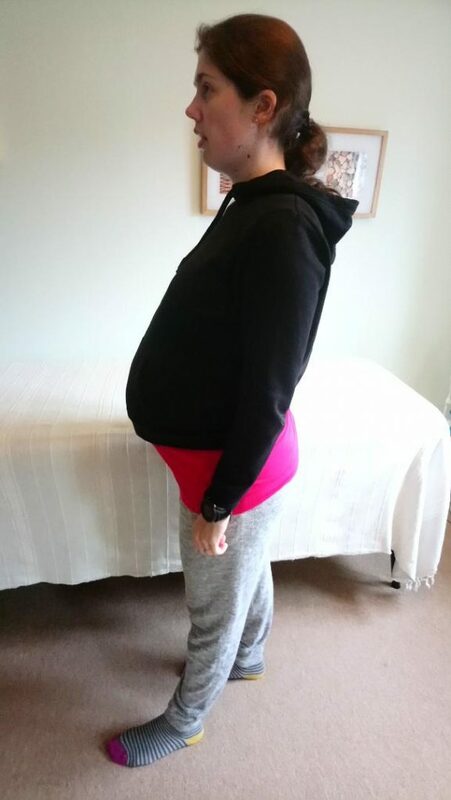 As you get bigger the centre of gravity goes through your body differently pulling you forward and it can result in low back ache, breathlessness and tiredness. 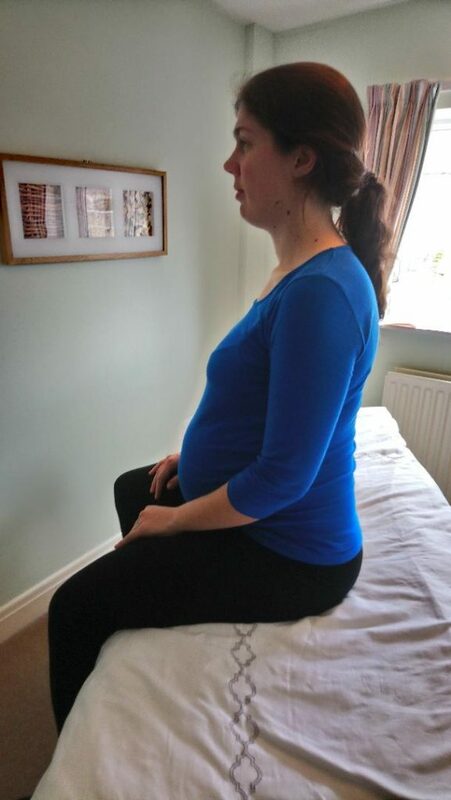 The Alexander Technique helps you cope with the weight of the growing baby , backache, breathlessness and tiredness. You also learn movements and positions to help and ease natural labour. It also helps your body recover quicker after the birth. Be more balanced by standing with one foot in front of the other . Being aware how to sit is important as you will probably be sitting more than you usually do. 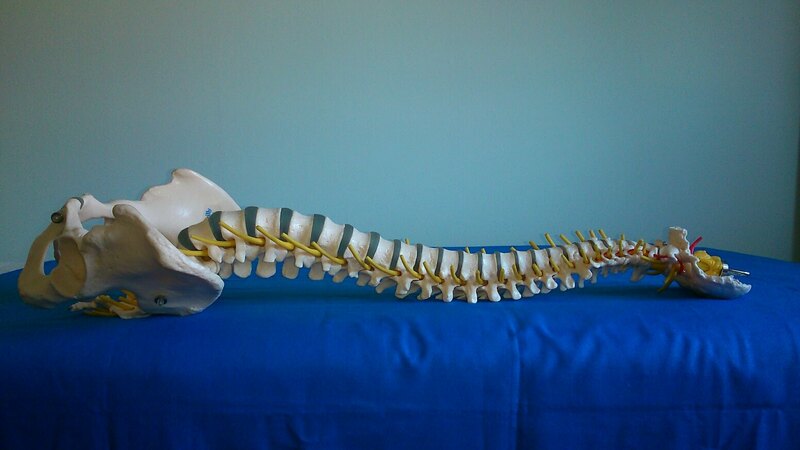 Are you aware of your sitting bones and how your spine is aligned? Here you can see her upper back is too far back so there is some holding, effort and tension in her body. It is good to keep exercising as long as you can. 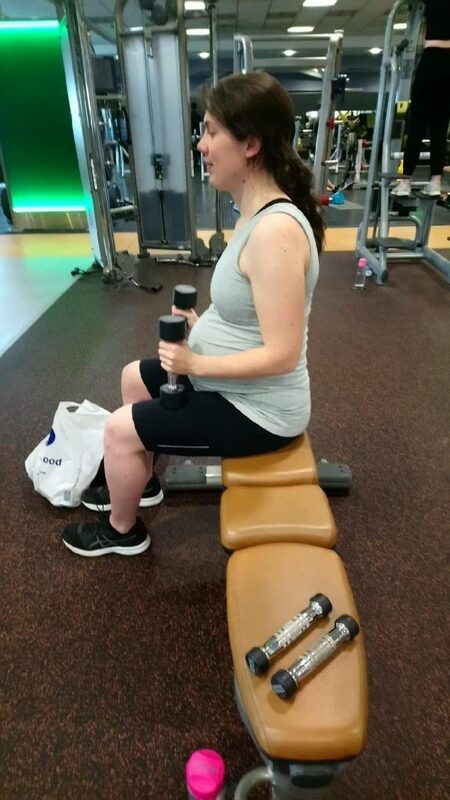 Going to a gym and sitting on a bench press using weights is a good way to exercise. A gentle swim or walk in the swimming pool would also be beneficial. You can see here that she is sitting on her sitting bones and her spine is in line. There is no tension in this sitting position she is poised. If you are pregnant give Hilary a ring mob. 07941526662 to book a lesson to help you with your pregnancy.